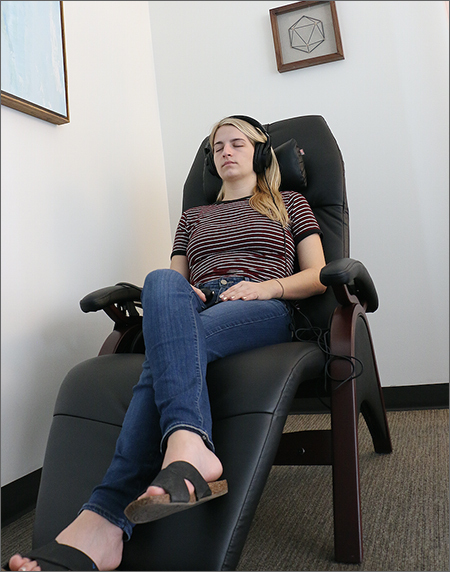 The MindBody Labs are self-paced environments designed to help UT students explore various resources for improving their emotional and physical health. 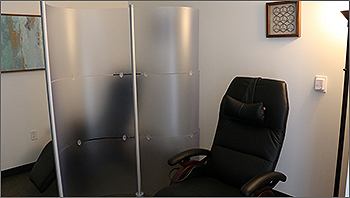 The Labs currently feature audio and video instruction on a variety of topics. Most of this material is experiential, enabling students to follow along and practice the skills as they are being discussed. Seven days a week, Monday through Friday, 8am-4pm. Check in at NUR 5.196. Menu of content available in the SSB MindBody Labs. 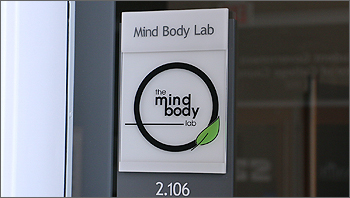 The MindBody Lab in the SSB is available for tours from 8:00am-9:00am and 4:00pm-5:00pm daily by appointment only. We are unable to accommodate groups that arrive without arranging an appointment in advance. Please contact Solis Rough to arrange a tour or call 512-475-6903. Below is a sample of some of the content that you will find in the MindBody Labs.